"After a few months keeping out of the public eye (relatively speaking, of course), the Duchess of Cambridge will return from her maternity leave next Tuesday. 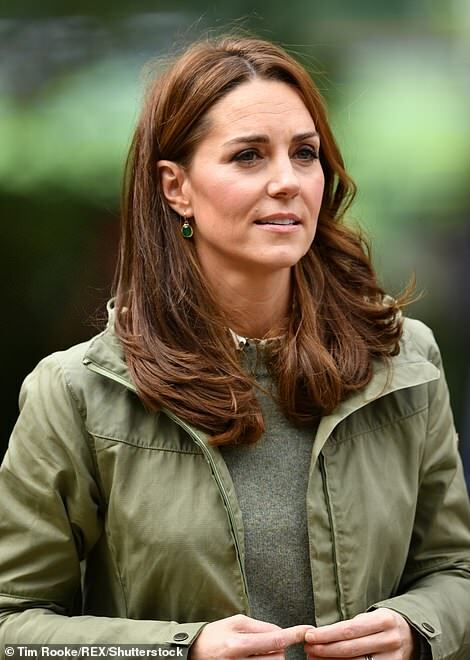 This morning, Kensington Palace announced that Kate will visit the Sayers Croft Forest School and Wildlife Garden at Paddington Recreation Ground on October 2." I'm just glad she isn't using World Mental Health Day as her first comeback. She would still be out of the public eye except little sister is looking better- both as busy activist and pregnant woman and Sparkles is doing stuff. Yes, I will say Sparkles at least got a cookbook out which is more than our frozen pizza princess ever did. Waity s looking like a dull lazy old lady and she wants new clothesso she will dance for the piper. Oh, what a pity. I was hoping we'd seen the last of her. I am not a Meghan fan but at least she can give a decent speech not like the head nodding, fake accent, reading from the script, hand flapping Kate. Let's hope she doesn't give one of her cringe making efforts at this event. They are both insecure, grating, manipulative users and phones, hence why both are so unpopular and disliked and an embarrassment to the RF. How is Pippa a 'busy activist'? She is a socialite with no job. ^Exactly. Most of Pippa's 'work' is make work that is created out of thin air to enable her to pass her time without going stark raving psychotic and to try to convince her husband that she can actually be of help to her husband's career. 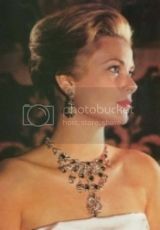 As if doing socialite projects will help her husband's image, as if we're in the 1950's. 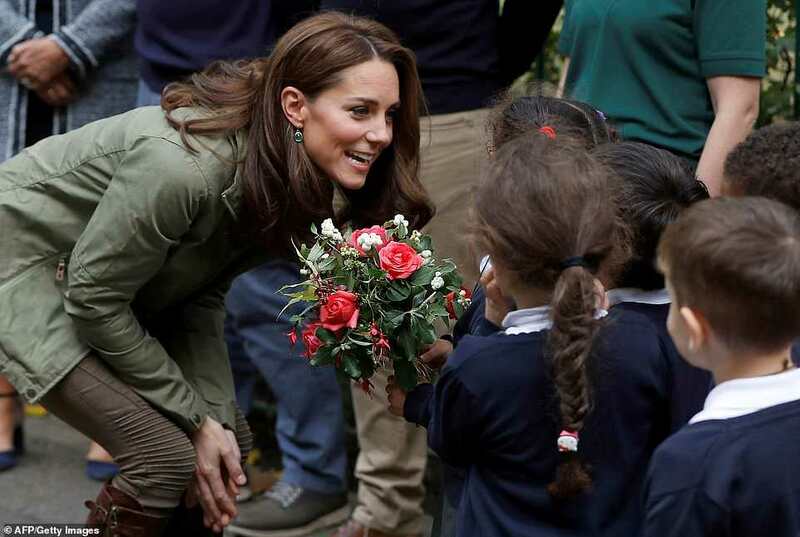 The Duchess of Cambridge returned to royal duties from maternity leave today with a visit to a children’s wildlife garden. The project the duchess is visiting - the Sayers Croft Forest School and Wildlife Garden at Paddington Recreation Ground in West London - gives inner city children a unique opportunity to learn about and engage with the natural world, something many rarely get the chance to do. Kate, who gave birth to her third child, Prince Louis, on April 23, has been seen in public a handful of times in recent months but this afternoon’s appearance formally marked her return to official engagements. The mother-of-three went for a casual look for her first official engagement, dressing down in Zara skinny jeans and a grey jumper and kept the autumnal chill at bay in a £175 khaki jacket from trendy Swedish outdoor brand Fjällräven. She teamed the ensemble with her trusty Penelope Chilvers £475 knee-high boots that she's been relying on for well over a decade. Just reading some comments, and many are saying the crowd was not that big for her. Not sure murky has helped because many are sick of the rf right now, with all the shenanigans going on. ^I think at this point in time, people are sick of how the press keeps living like it's the 80's and 90's and Kate isn't going to 'happen' the way that Diana and Fergie did. It's not like anyone even actually WANTS to care about the BRF, they just want the BRF to do their job and basically bring in jobs and enhance foreign relations, NOT try to be cover girls and 'it' girls. Frankly with the Yorkies and Sussexes, I think the public just wants things to settle down and be stable, not chaotic. Her "crowds" vanished ages ago. I really like the hair, sans the excessive extensions, but length & styling are really great. I may be biased, as I'm planning to have a similar haircut at my next hair appointment (whenever that'll be haha)! Sadly it looks like she's back to her skeletor look. In that one video her face seemed too gaunt. The earrings seem new, any info on them? Too busy trying to make a solid living and she has long alienated herself from the public that at this point, the public is diffident at best. I’m at a loss as to what the royal family wants or expects from the public. She’s been a lazy lympit for years and her taking months off for maternity leave (Why, members only section), just further alienated people from her. IMO, the crowds was most likely people that would’ve been in the area anyway. IMO, she looked a bit stiff and didn’t want the kids hugging. She must be fuming as I bet Wills hasn’t called her since he left for Africa. What’s confusing and sad is that the royal family’s diminished by the presence of Meghan and as rightly posted, the public’s has had enough of the royal family. Just to think that the future of the monarchy’s in the hands of Waity/Wills and supported by Harry/Meghan is disaster and quite nuts for the continuation of the royal family. The queen and Charles unfortunately, can be incapacitated due to health or God forbid die, and this will be what’s left to carry on; lazy pair and Soho House members. Supposedly, Meghan’s pr taking shots at dull Waity. I think the BRF wants the magic back; the magic that surrounded William and Harry year by year and while it diminished, there was some hope that William and Harry would be dynamic, amazing young men who would do amazing charity work, get amazing educations, and help the helpless. After which, they would hook up with an amazing woman on par and do so much for the world around them. Instead both men chose a deeply selfish route and chose women who have proven to be even more selfish. The DM (via palace PR) is still trying to make the magic happen, but regrettably it just isn't. The newer generation hasn't carried on tradition, or the magic, but has instead demanded that the nation carry them and their lazy consorts. That is now how this is supposed to work and is not at all benefiting the nation. For what it's worth, I've seen a few pictures of Kate at the event and she seems really happy, natural, interacting with the kids. There's also a picture where she picks up a little girl in a pale pink puffa jacket which is cute. She's also wearing high street clothes. It's a win for Kate today. It's a win because everytime she goes working it is something of a miracle. I don't think she is fond of the w word.